Server virtualization has brought about huge and extremely important changes to the deployment of operating architectures and applications with momentous benefits to IT and business. It is vital for organisations to develop more efficient uses of hardware which are cost-beneficial and, at the same time, energy saving. Momentarily, some of the greatest gains can also be found in improved server functionality and ease of deployment. 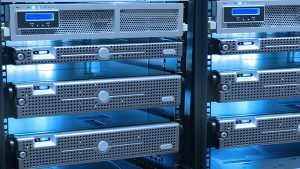 Here at CyTechnology, we can help you to benefit from server farm virtualization. Contact us now to find out how. Microsoft Virtualization helps your business become more flexible and adaptable, allowing the right IT resources, which your organisation needs, when you need them. Through this system, you will be able to manage and maintain servers as discrete software components, rapidly create new servers from pre-defined and configured images, and reallocate resources to optimise performance and stability. Leading virtualization platform, Hyper-V, maximises utilisation of test hardware which can help reduce costs, improve life-cycle management and improve test coverage. With extensive guest OS support and checkpoint features, Hyper-V provides an excellent and reliable programme for your test and development environments. With Microsoft Virtualization, you can lower your total cost of ownership. Hyper V is included in Windows server and allows for multiple Windows instances to be run on one server. Hyper-V includes powerful business continuity features, such as live back-up and quick migration, enabling businesses to meet stringent uptime and response metrics. Testing your infrastructure shines a light on current limitations – to ensure you inject vigour and lightning speed delivery. Providing you with unparalleled implementation and advice for leased line, cabling, routing, public and private cloud, BYOD, MDM and IP technology. In-depth insight and optimisation management tools, optimize network performance, identify bottlenecks and provide full audit trails. Using new and more advanced technology reduces the impact on the environment, but also your total cost ownership. Contact us for more information on how we can provide you with the best virtulization solutions.